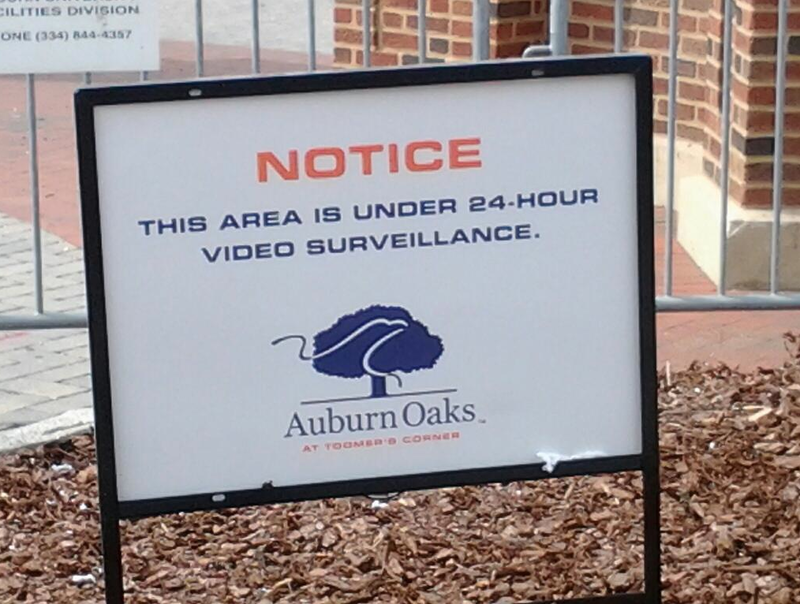 The Toomer’s Oaks still need protection. Yesterday, Dr. Gary Keever pondered how best to protect the valuable rhizomic shoots that will begin sprouting up through the pine mulch covering the tree beds in the coming months. The solution? 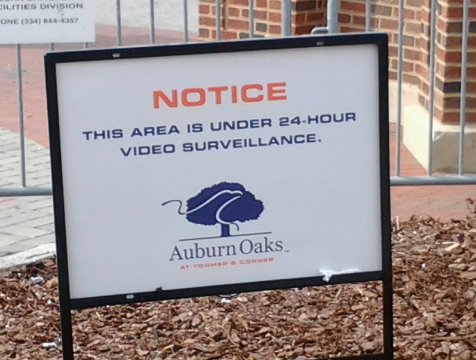 Retain the barricades around the beds… and remind would be root looters that they’re still under 24-hour surveillance. Related: USA Today sports section pays tribute to Toomer’s Oaks by adding tree rings to its logo.